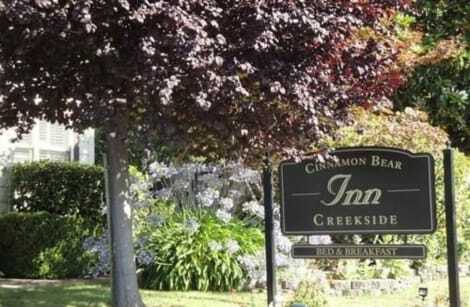 With a stay at Cinnamon Bear Creekside Inn in Sonoma, you'll be near the airport, within a 5-minute drive of Sonoma Plaza and Vallejo Home. This bed & breakfast is 11.4 mi (18.3 km) from Sonoma Raceway and 16.7 mi (26.9 km) from Napa Valley Wine Train. 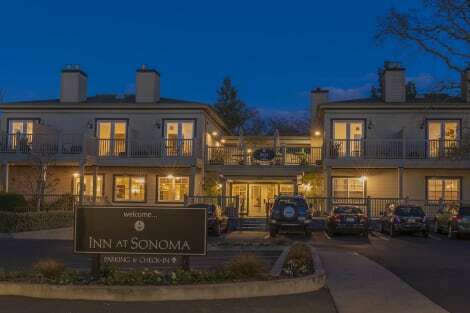 With a stay at Inn At Sonoma - A Four Sisters Inn, you'll be centrally located in Sonoma, within a 5-minute walk of Sonoma Plaza and Sonoma City Hall. This romantic bed & breakfast is 10.5 mi (17 km) from Sonoma Raceway and 15.5 mi (25 km) from Napa Valley Wine Train. Enjoy Californian cuisine at Carneros Bistro, a restaurant which features a bar, or stay in and take advantage of the room service (during limited hours). Cooked-to-order breakfasts are served on weekdays from 6:30 AM to 11:30 AM and on weekends from 7 AM to 11:30 AM for a fee. Enjoy American cuisine at Sante Resaurant, one of the resort's 3 restaurants, or stay in and take advantage of the room service (during limited hours). Snacks are also available at the coffee shop/café. Meet other guests and eat at the complimentary reception. Relax with a refreshing drink at the bar/lounge, the poolside bar, or one of 2 bars/lounges. Full breakfasts are available daily from 7 AM to 11 AM for a fee. This lovely hotel is set in Sonoma. A total of 21 accommodation units are available for guests' convenience. Pets are not allowed at this establishment. lastminute.com has a fantastic range of hotels in Sonoma, with everything from cheap hotels to luxurious five star accommodation available. We like to live up to our last minute name so remember you can book any one of our excellent Sonoma hotels up until midnight and stay the same night.